The Jap's Rods Inventor Noazarc Research Foundation, Doctor of Engineering Ben Shuwalts. According to "rumors-information" circulating on newsgroups, a Japanese device would be "on sale" or about to be. The information is to be taken with tweezers. 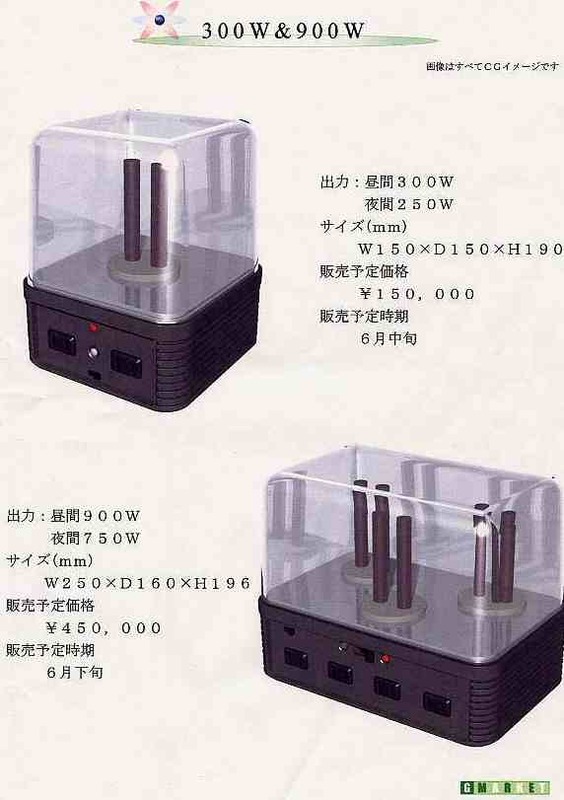 Nevertheless, given the quality of information including a booklet in Japanese with photography of devices "for sale" and 2 videos, the case is closely followed! - This technology is based on photo-emf. - The EM radiation the receiver operates as a solar panel, with the difference however that it can also operate at night. - This research is the result of years 22 working on how to collect the energy of electrons from a broad radiation spectrum. - Basic The mineral used in the receiver acts as the load in the electric conduction and produces a cloud of free electrons. A surface energy barrier retains the electrons in the receiver. - This idea is not new, it dates back to 1901, when Tesla got a patent on a receiver "Device using the radiation". ... there is, however, a difference with today's invention. It is thought that the Tesla receiver had a thin metal plate covered with a transparent, insulating material ... The higher the panel is placed, like an antenna, the more effective it is. Wires go from one part of the panel to one part of the capacitor and other capacitor wires are grounded ... The sun's energy is charged and goes to the capacitor. A switching circuit passes the charge which is in the capacitor and electricity is obtained, the capacitor making the charges and discharges in a constant cycle. The amount of electricity output depends on the size of the panels. Tesla very well explained this method - easy - to get electricity. Tesla's device is much more than a solar panel because energy can be captured at night. It is possible that we capture other radiation, not only solar energy but also cosmic radiation. Tesla was touching the Earth's huge negative power supply ... "
Then if that is durable, reliable, and harmless to the living, what is the sale price, taxation and behavior of the existing industries of energy with respect to this invention? It remains in effect at least 46 720 Millards of $ (on an ideal base 80 million barrels / day to over $ 40 40 years) DUTY of proven oil reserves. A 70% tax this figure rises to about $ 150 000 of Millards. This only applies to oil, other energies doubling or tripling that figure easily. Knowing this how to fix a sale price and how those who profit from the energy could abandon such a windfall? Environmental considerations are unfortunately quite futile to such money! In any case it will be appropriate to "limit" the use of this energy source in one way or another. First, because all energy ends up dissipating in heat (an excessive use of energy would warm the earth in a lightning way) secondly because who says energy says possibility of transforming it into weapon.